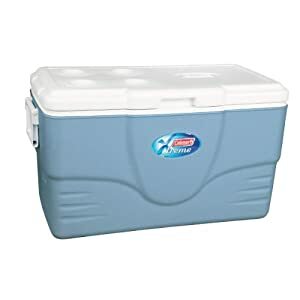 Coleman 70-Quart Xtreme Cooler (Blue) now is on sale for $39.88 with free super saver shipping. 4 stars reviews. Good for your next summer's outdoor event. 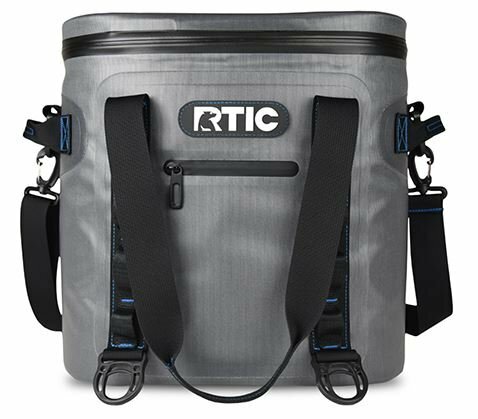 Amazon is currently offering up some nice discounts on RTIC 20 Soft Pack Cooler Only $69.99 shipped (reg. $99.99) -- best price so far. These 2″ foam insulated and puncture resistant soft pack coolers keep ice up to 5 days, feature a NO leak zipper and the exterior does not sweat (made with a heavy duty vinyl shell). These are all also UV protected to ensure it does not fade! Walmart.com now is offering this Coleman Xtreme 50-Quart Wheeled Cooler with 1 Gallon Jug Value Bundle for only $25 (regularly $33). Choose free in-store pick up. 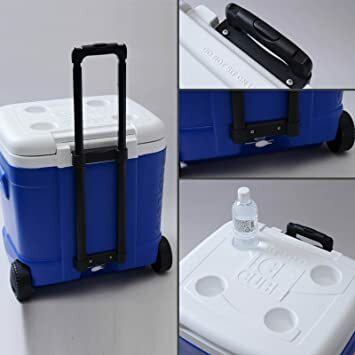 This 50-quart cooler holds up to 84 cans, is retractable with an interlocking base and the lid has 4 cup holders on top! Walmart.com now you can get this Igloo 5-Gallon Beverage Cooler for just $18.44. Choose free in-store pick up. This seems like a great deal seeing as Amazon has this on sale for $22.99 for Prime Members only. These are so nice to have for camping, days at the lake, or backyard BBQs, and these coolers keep water cold up to three days! 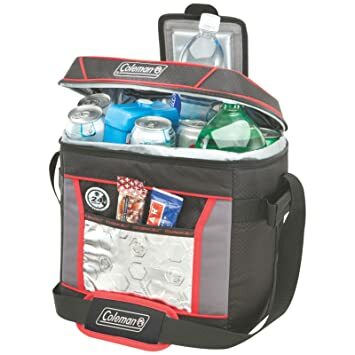 Walmart.com now this Coleman 42 Can So’ Cooler with Removable Liner for only $32.68 (regularly $55). Free in-store pickup. 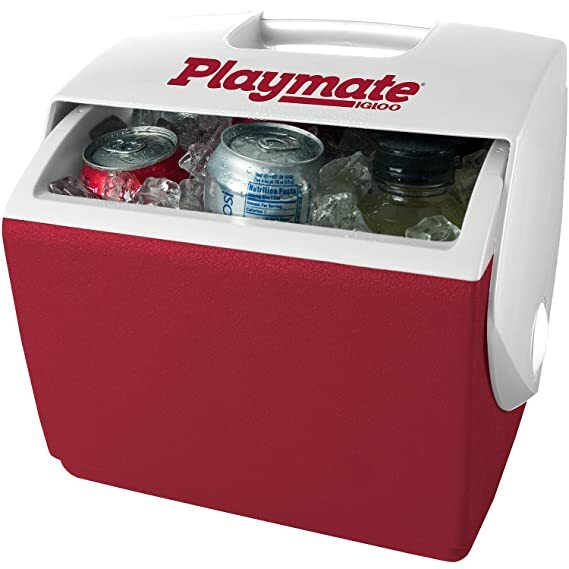 This cooler holds up to 42 cans and features a hard plastic removable liner that is easy to clean between uses. The telescoping handle, durable wheels and side handles make it truly portable. You can even store additional items in the front mesh pocket and inside the lid bungees! Walmart.com now is offing this 5-Gallon Coleman Jug with Water Carrier for just $10.33 (regularly $14.65)! This carrier offers a fast-flow spigot that delivers instant water access without tipping, built-in molded handle and handgrip for easy carrying and drip-resistant faucet with a screw-tight lid. Amazon now you can buy this Coleman 9-Can Soft Cooler With Hard Liner in grey for only $8.79 (regularly $29.99)! 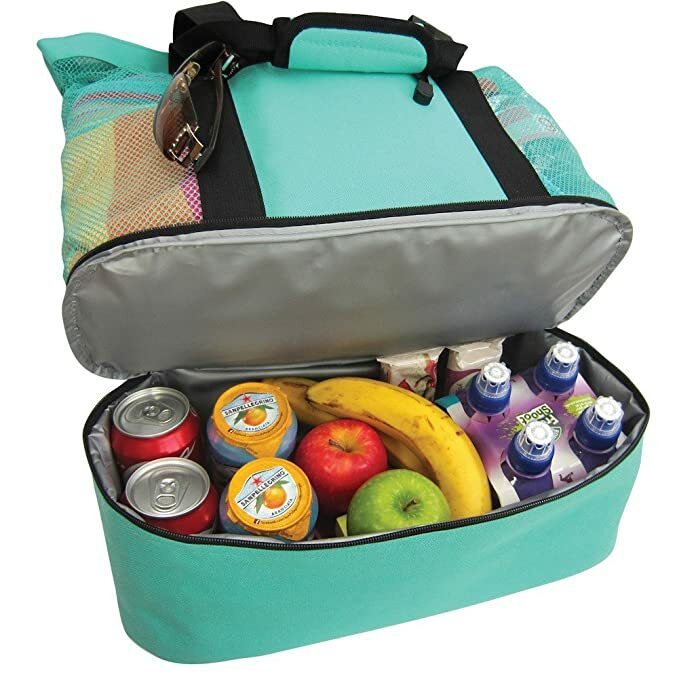 This cooler has a sturdy handle and zipper with a removable liner for easy cleaning. It can hold up to 9 cans and has mesh pockets on the side for extra storage. This cooler is really Cool! You get tote and cooler all together. Now Amazon dropped the price on this Aruba Mesh Beach Tote Bag with Insulated Picnic Cooler down to just to $28.95 (regularly $39.95)! This highly rated lightweight but roomy beach tote bag can easily carry 4 large beach towels and features two external pockets, one zippered for cell phones and keys, plus another for sunscreen and other assorted items. The insulated cooler bag section holds plenty and has an easy to clean soft liner. Amazon now this highly rated Coleman 16-Can Soft Cooler With Hard Liner in red for just $9.51. 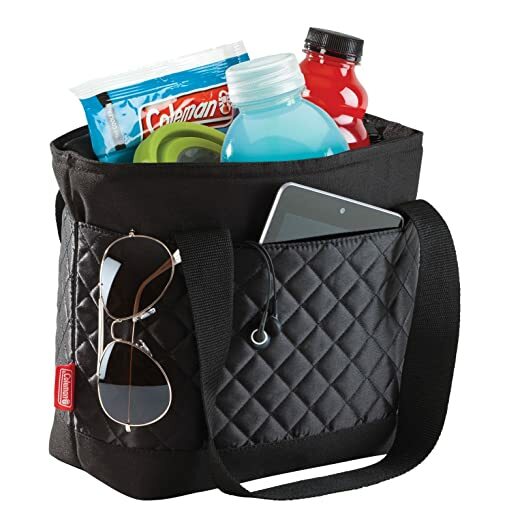 This cooler has extra storage space in its front zippered pocket, side mesh pockets, a mesh pocket in the lid, an adjustable shoulder strap, and a hard plastic liner inside. Walmart.com now you can get this Coleman 30-Can Soft Cooler with Liner for only $11.70 (regularly $25.99) when you choose free in-store pick up! This cooler is perfect for picnics, camping, the beach or even taking to your kiddo’s sports practices. It has exterior pockets to store extra snacks and gear, has plenty of space to hold 30 cans and there are even bungees on the lid for stowing even more. The hard plastic internal liner keeps your food from being crushed and it provides antimicrobial protection, to resist odors, mold, and mildew. 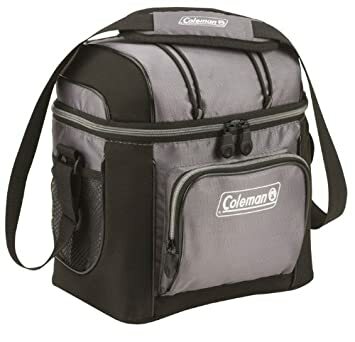 Amazon.com now you can get this Coleman 24-Hour 30-Can Cooler for just $14.20! This cooler features extra insulation with an antimicrobial liner that keeps your food and drinks cold for up to 24 hours! It also has an adjustable shoulder strap, side handles, and a front pocket where you can store your extra snacks! Walmart.com now get this Coleman Xtreme 50-Quart Wheeled Cooler for only $19 (regularly $54). This cooler uses new Xtreme technology that keeps your ice for up to FIVE days! The long handle and rugged wheels let you take it almost anywhere, plus it’s big enough to fit over 80 cans of soda. Today, December 8th only, Amazon is offering up to 40% off select Coleman Camping Gear – save big on tents, coolers, chairs and more! On Amazon.com (Prime members only) you can now buy this Igloo 60-Quart Ice Cube Roller Cooler for just $24.44 (regularly $64.99)! This roller cooler features a push button expandable handle that locks securely into place and rugged wheels to easily transport the cooler. It has a large 60-quart capacity with molded scoop sides for easy lifting and unloading. 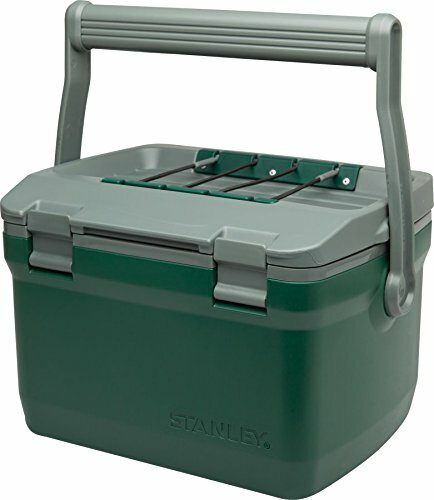 On Amazon.com you can now get this 16 Quart Stanley Adventure Cooler for just $39.99 shipped (regularly $65) – lowest price! This cooler is leak resistant and has two times the foam compared to regular coolers so it keeps drinks colder for longer. Even better, it comes with a lifetime warranty! 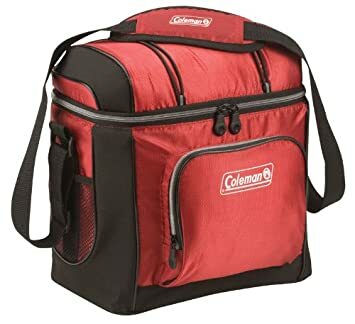 On Walmart.com you can now get this Coleman 16-quart Personal Wheeled Cooler in red for just $12 (regularly $23.38) – lowest price ever! 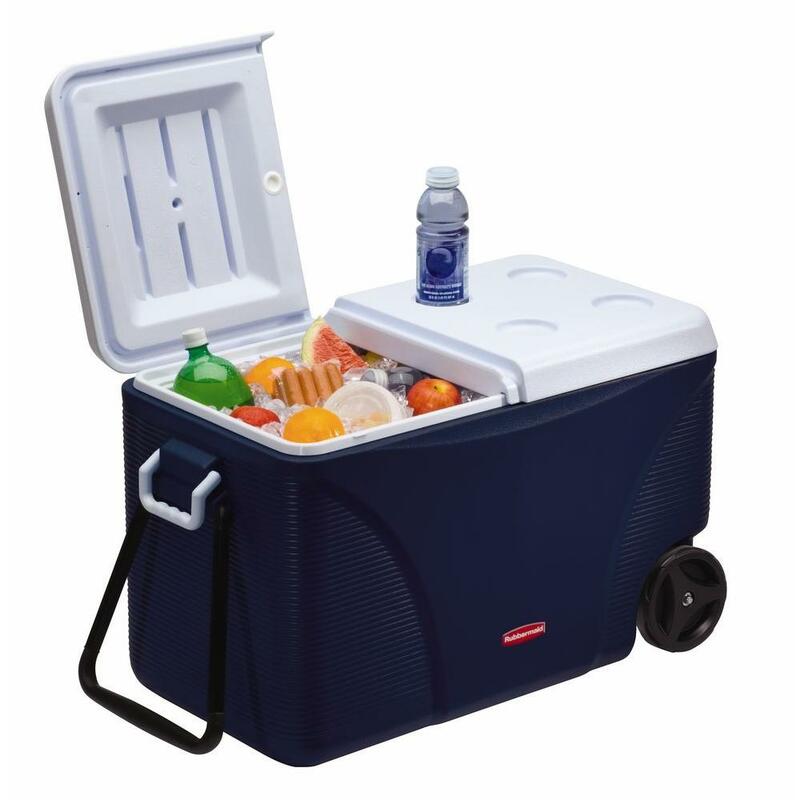 This cooler features a telescoping handle and heavy duty wheels and can hold up to 22 cans with ice or freezer packs! 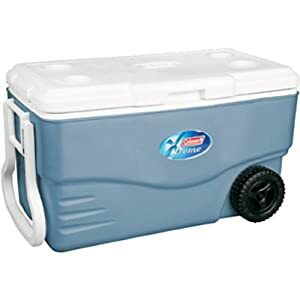 The Home Depot where you can now get this Rubbermaid 75-quart Blue Wheeled Coolerfor just $39.97. This wheeled cooler can keep ice cold for up to 5 days in 90 degree weather. It has an easy to clean liner and a split lid to help keep your drinks cold. It can hold up to 130 cans with ice and has built-in cup holders! Today, May 26th only, on Amazon.com where you can get 25% off Pelican Coolers, Drinkware and Backpacks. 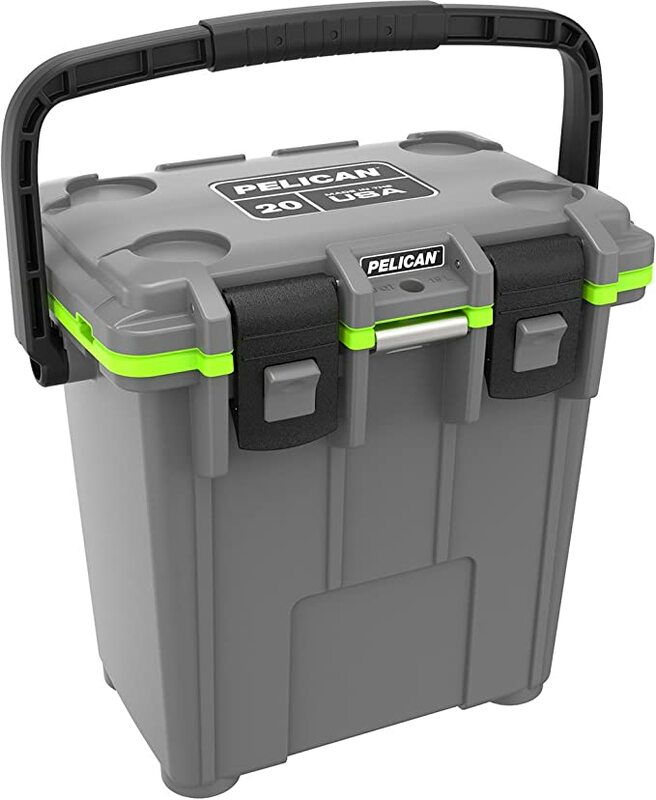 This Pelican Elite Grey/Green 20-qt. Cooler is just $112.49 shipped (regularly $149.99). 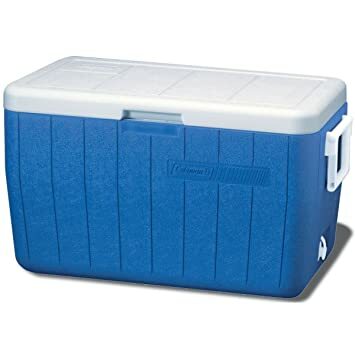 This cooler features 2-inches of ice retention for up to 3 days, molded handles, locking latches, a reinforced lockable hasp, anti-shear hinge system, molded tie-down slots and a stainless steel bottle opener. On Walmart.com where you can now buy this bundle Coleman 70-Quart Xtreme Marine Cooler and two Ozark Trail 30-Ounce Double-Wall Stainless Steel Tumbler for $37.46 shipped (regularly $53.43). These stainless steel tumblers are sweat-free to make them easy to handle, shatter-proof, and have a dishwasher-safe lid! The cooler is large enough to hold up to 100 cans! Perfect for a day at the beach. Amazon this Igloo Playmate Pal 7 Quart Personal Sized Cooler in red for only $10.97 shipped (regularly $21+)!